Leopold is a white on white male lion sculpture posed in a stretching position. 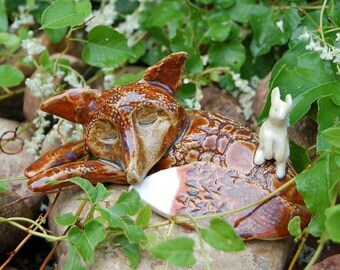 He was hand sculpted from a pinch pot, clay slabs and coils. 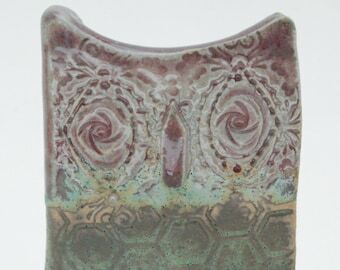 His face and mane are a stoneware slab of clay that was rolled out with a small crocheted doily and his features, such as his ears and pouty face were pinched into shape and affixed via scoring and slip. He was glazed in both a high gloss snow white celadon and an off-white, almost golden, oatmeal. His eyes and nose are underglazes. Leopold measures in an outstretched length of 6.5 inches. From his body base to the tip of his tail measures 2.5 inches, while the diameter of his mane equals 3 inches from side to side. 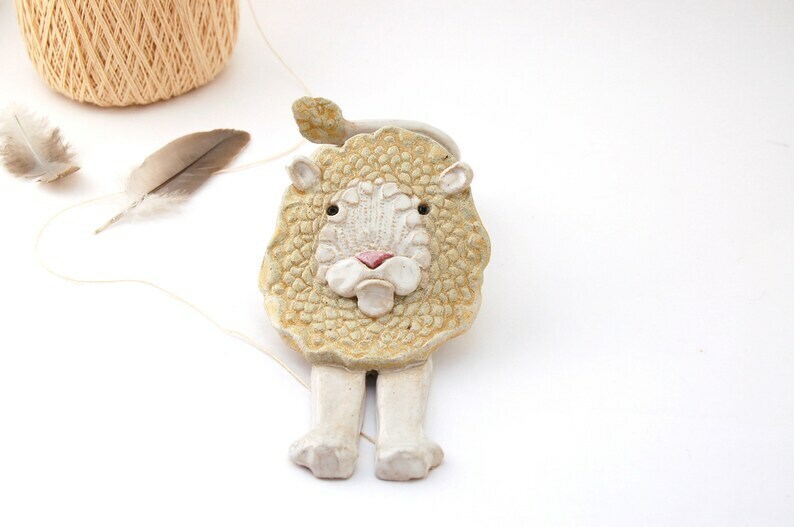 Just as white lions are unique in the wild, Leopold would make a bold decor statement situated on a dark office desk or nestled in between some hardcover books on a cozy bookshelf. He would also make a lovely gift for lion lovers.